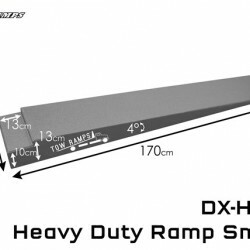 Innovative light weight ramps heavy duty style! 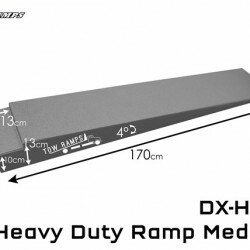 Light weight ramps for every use! 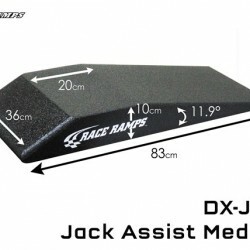 Raceramps are extremely light and almost uncrushable! 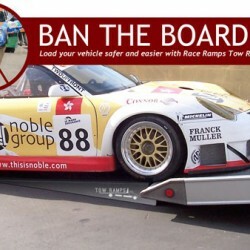 Available for loading/transportation, garage-use , as well as exhibitions and pit-stops. 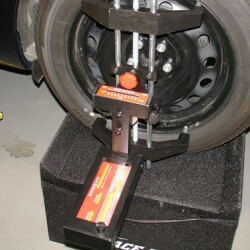 Alignment Stands are a replacement for heavy metal wheel alignment stands. 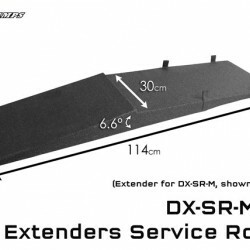 The Alignment Stand is used usually with a two or four post lift system. 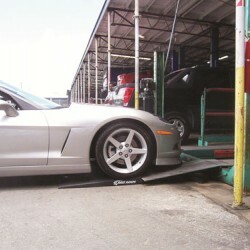 The vehicle is raised on the lift; the Alignment Stands are positioned under each tyre with a turntable on top of each stand. 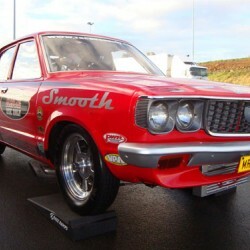 Then the vehicle is .. 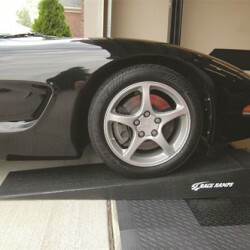 Car Ramps enable you to get low ground clearance cars onto the service platform or lift without damaging the front end. 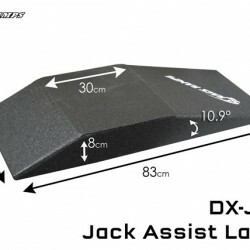 Their textured surface prevents slipping, they are lightweight, and they come complete with a carrying handle for easy transport and storage. There are two styles of Car Ram.. 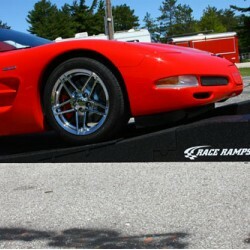 Car Ramps enable you to get low ground clearance cars onto the service platform or lift without damaging the front end. Their textured surface prevents slipping, they are lightweight, and they come complete with a carrying handle for easy transport and storage. There are two styles of Car .. 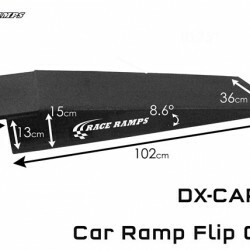 Car Ramps enable you to get low ground clearance cars onto the service platform or lift without damaging the front end. 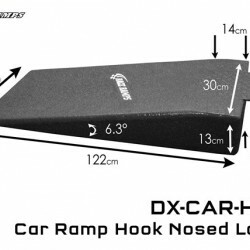 Their textured surface prevents slipping, they are lightweight, and they come complete with a carrying handle for easy transport and storage. 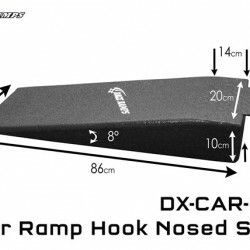 Hook Nosed Rack Ramps are a lightw.. 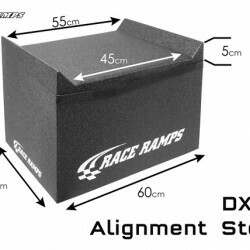 If your car has especially low ground clearance then RaceRampExtenders can be used to reduce the approach angle to as little as 6.8 degrees when using other RaceRamp products. 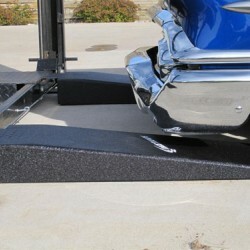 So you will never have to worry about damaging the front end of your vehicle again. 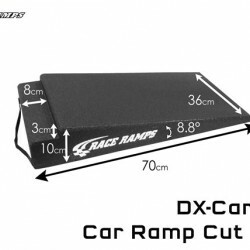 In conjunction with our maintenance ram..
RaceRamps Europe focuses on safety and professional appearance with RaceRamps Trailer Ramps. 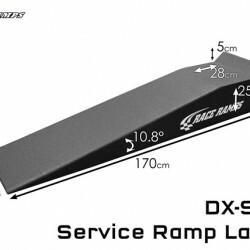 The ramps are designed to safetly get low ground clearance vehicles on and off flatbed tow trucks, and are a convenient and easy to use alternative to wooden planks and other unsafe methods of reducing ramp..
RaceRamps Jack Assists allow you to lift up your low clearance car just enough so you can use a standard jack without the risk of damaging your car. 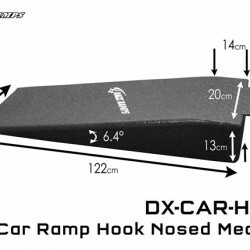 Being maximum 86cm long, you can even fit them in the boot of a sports car. 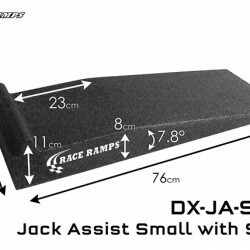 The 'small' version is also available with a stopper which prevents the d..
Seabach Trading AB is a wholeseller that currently distributes the follwong brands: Volanti Luisi, Nardi-Personal, Lamax, Slick 50, RainClear, Glass Science, MA Professional, Takata, Race Ramps m.m. By continuing to browse our site, you agree to cookies.